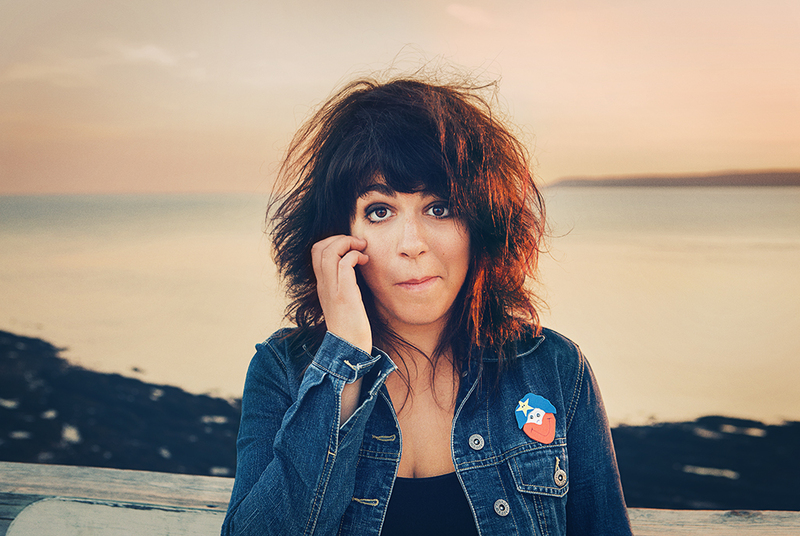 You’ll have to forgive self-proclaimed Acadian “folk trash” singer-songwriter Lisa Leblanc for being a little excited. Her upcoming show at Moncton’s Aberdeen Cultural Centre on Wednesday evening is going to be one of her first performances in New Brunswick in quite some time. More specifically however, it will also be the first time she has returned to her home province in more than two months. To say she is looking forward to her impending arrival in New Brunswick just might be the understatement of the year. “I am so looking forward to getting back and being amongst friends again. It’s going to be so nice to see everyone in my home province. It is a great way to end the year,” Leblanc says. There is a palpable buzz in the city for Leblanc’s performance next week and with good reason. Arguably one of the province’s most dynamic performers, Leblanc released her self-titled Francophone debut record in 2012 to widespread acclaim. That critical acclaim spread to the masses who in turn helped Leblanc sell more than 80,000 copies of the album here in Canada. Asked what has taken her the most getting used to, she quickly responds that being recognized by strangers on the street continues to confound her but in the best of way. After performing more than 200 shows throughout Canada, the United States, Belgium, France and Switzerland, Leblanc found the inspiration for her new release Highways, Heartaches and Time Well Wasted in Louisiana. “In April 2013, I had the good fortune to spend two or three weeks in Louisiana which proved to be just insane for my creativity. I met so many amazing Cajun musicians and of course with the strong ties between the Acadian community and the Cajuns, I showed up with a banjo and was pretty much immediately welcomed by all,” she laughs. What might prove to be one of the most surprising aspects of Leblanc’s new release to some people is the fact that it is an English-based release. Leblanc is proud of her New Brunswick heritage and also proud of the fact that her home province is actively bilingual. She believes that it shouldn’t be all that surprising that she would venture down the road of composing English music. In fact, it was simply a matter of the artist revisiting familiar territory. One thing is for certain: Her fans are more than happy with her decision. She says that during a recent Western Canadian tour, she has seen an abundant mix of both Francophones and Anglophones in the audience at her shows, each appreciating the full scope of her music, regardless of the language in which it is sung. “I am so lucky to be able to sing in both French and English,” she says. “While the Francophones might have been brought to the show because of my first release, there is just as many Anglophones coming out to hear the songs from my new EP. When: Wednesday Dec. 17, 8:00 p.m.
Tickets are $10. Advance tickets are available for purchase at Aberdeen Cultural Centre or by phone at (506) 857-9597. Ticket price includes a CD copy of Leblanc’s new release.